Welcome to Classic Group at Two Rivers. 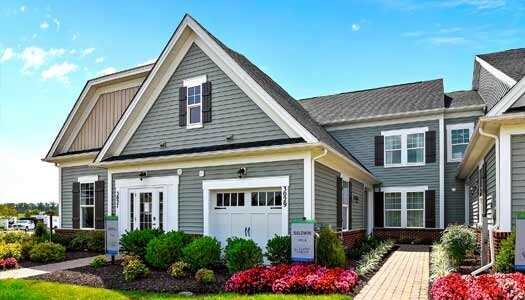 Our Villa models located in The Regency are the most affordable option inside the community! 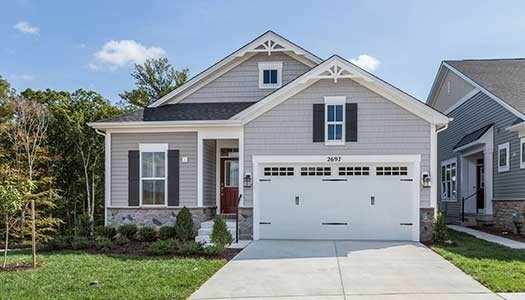 There are 4 floor plans to choose from: The Anne, Baldwin, Carroll, and Carroll II feature owner’s bedrooms on the main level – plus a loft, and a 1 car garage. The Carroll offers the option to add a hobby room upstairs! 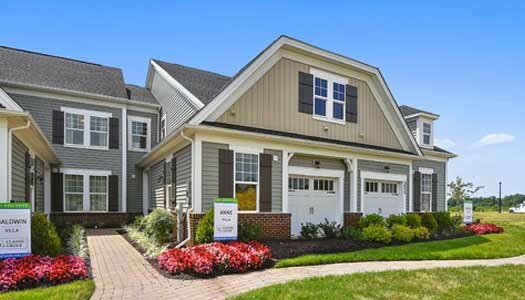 The Carroll II offers 3 bedrooms and 3 bathrooms plus a loft. The Carroll model is our most popular, as it is the largest and offers more natural light as an end unit. 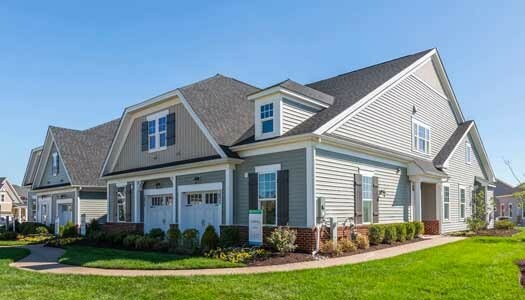 The Villas are located just a short stroll to the Village Club – so you are steps away from the yoga studio, fitness center, indoor & outdoor pools and all the amenities of the 15,000 sq ft Village Club! 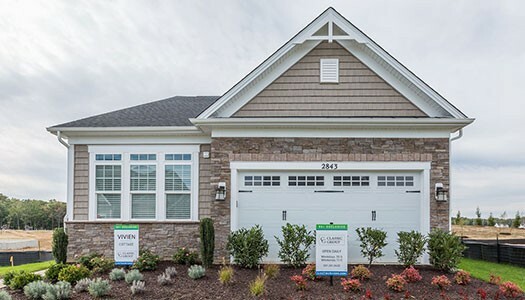 There are only a few Villa models left so hurry in to choose your lot! The Watershed is where you’ll find our amazing single family cottages the Madeline, Grace, and Vivien backing to woods! Ranging from 1897 sq ft – 2653 sq ft each home has its own unique personality. This is your destination if you enjoy the peace and quiet of the great outdoors! What also defines this neighborhood is the wonderful sense of community. Watershed neighbors enjoy helping each other and staying connected through social gatherings, game nights, clubs, and a variety of inclusive activities!